As you may have noticed, Facebook “screwed up” your social media page. Suddenly, your information may look chaotic and the beautiful page you went through great lengths to design has been obliterated. While the changes may seem egregious at first, take a deep breath and keep in mind that this design is meant to help you. The popularity of sites like Pinterest, SlideShare, Instagram, Flickr and YouTube confirms that fact that people are looking for VISUAL content that they can share with their friends. Written content is still important for search engine optimization, but it’s the photos, videos, coupons and visual items that people want to share with their friends. 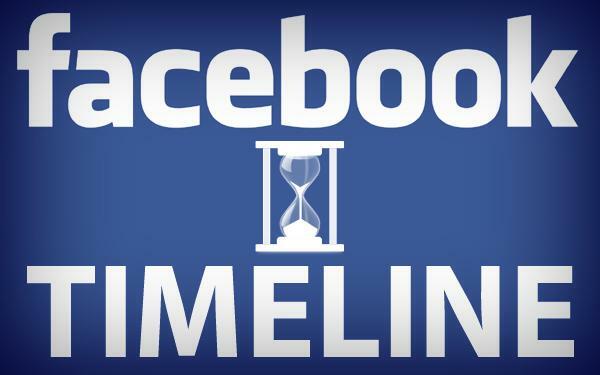 Here is a quick guide to the new Facebook Timelines for fitness professionals. The Cover Photo: You will now have to create an 851 x 315 pixel banner ad to display across your screen. Zumba Fitness used a crowd of enthusiastic exercisers to build hype for their brand. Bally’s Atlantic City used an attractive cityscape to show off their impressive exterior. Finest Fitness wants to show people what they can do in their sports club. Wild Iron Gym wants to show off their weight room. Buffalo Athletic Club has a colorful photo that shows off their demographic. Profile Picture: There is also a spot for a small thumbnail-sized profile picture that shows up along with the larger cover photo. This is a good place for your company logo! Apps: You will also need to organize the tabs (called “apps”) that appear just under your cover photo. You can feature up to 12 apps on your profile, but the first four are the most visible and most important. You may feature Photos, Contests, Coupons, Likes, YouTube Videos, Maps, the About page, or another app. Star, Hide & Pin: You can then determine the importance of your recent posts. You can pin one important announcement to the top of your screen for up to 1 full week. This will always stay at the top, so it’s great for advertising a promotion or issuing an important reminder. You can star messages that are important to give them more real estate and increase their prominence so everyone sees. You can also hide items from your Timeline. Enable Messages: Now people can message you directly, which is especially good if you had a lot of haters on your page or people cluttering up your feed with questions. This feature allows you to talk with others, without making your conversations so public. Milestones: You can feature milestones and go back in time to make posts based on important events. Many users will find your brand’s history very interesting, especially if you fill it with neat photos and amusing descriptions. Keep in mind that milestone images are set at 843 x 403 pixels. – So, to make the best use of your new Facebook Timeline, you will need to start publishing more photos and visual content. Facebook studies show that photos create twice the engagement as text posts, so be sure to show off your facility, your team and your testimonials. You might want to find a firm that can make charts and infographics for you to add to the visual nature of your page. – Don’t forget to customize your Apps images so they look good. You can do this by clicking “Apps” and then “Edit Settings.” Your image should be 111 x 74 pixels. – Make sure you pin a new promotion every week or so to control the information flow and drive sales. If you have another call-to-action you would like to feature for more than a week, you may use the apps section to do so. For example, some people have created apps encouraging people to sign up for their newsletters or register for their upcoming nutrition seminars. – Post multiple times per day. In the past, people were adverse to brands that “cluttered” their news feeds. However, that has all changed with this new layout. You can literally post every hour and attract a whole new set of eyeballs. Do not fear change. It has already come and there is nothing we can do about it – except adapt! While you are bound to hate Timeline at first, you may actually grow to like it. Social media gives us a unique opportunity to feature different types of content that people can digest and share with others – whether it’s an infographic about nutrition, a humorous video of your grocery store tour mascot, or a picture of your clients’ latest transformations.